This is the 4th part of this series, where I am going to explain how to create feedback page with cascade dropdown list in MVC4. Sometimes you need to display dropdown lists in your ASP.NET MVC views such that values in one dropdown list are dependent on the value selected in another dropdown list. The most common example of such a functionality is countries and states dropdown lists, where based on a selected country you need to populate the state's dropdown list. 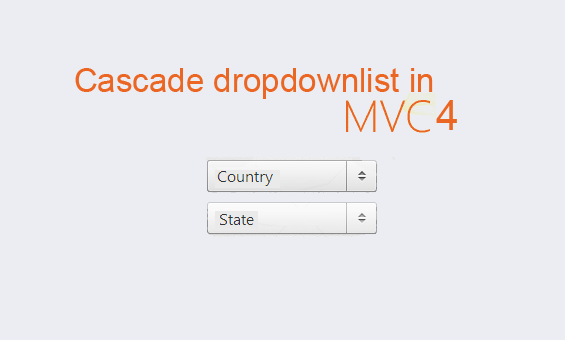 In this article I would like to explain how to create feedback page with cascade dropdown list in MVC4. Here I have created a controller "FeedbackController"
Right Click on Action Method (here right click on Submit action) > Add View... > Enter View Name > Select View Engine (Razor) > Check "Create a strong-typed view" > Select your model class > Add.